ELO fans were in for something of a surprise in 1981 when a compilation initially only intended as a mail order release started to appear in the shelves of local record shops. That was the case when the 2LP collection "The Best Of ELO" (Tellydisc; TELLY7) turned up at HMV in Wolverhampton and Yours Truly KJS was quick to snap it up. Two years earlier, Jet Records had released "ELO's Greatest Hits" (JETLX525) following in the wake of the amazing chart topping success of "Discovery" (JETLX500) and it's four Top 10 singles. It stalled at #7 probably because it it included none of the aforementioned "Discovery" singles within its eleven (11) tracks. 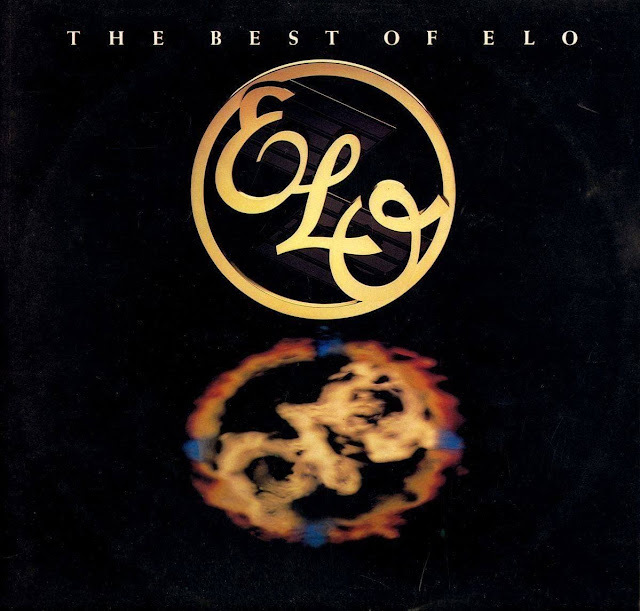 But "The Best Of ELO" was different because in covering the years 1974-79, it included all five (5) "Discovery" singles as well as "Eldorado Overture", "Do Ya" (a single in the States), "Tightrope", "Steppin' Out" and "Shangri-La" alongside all the UK singles taken from "Out Of The Blue" and "A New World Record". 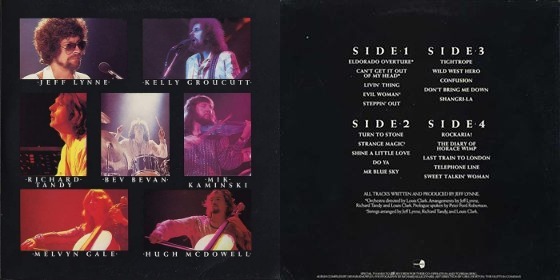 Indeed, there was no "Showdown", "Ma Ma Ma Belle" or any eighties representation ("Xanadu" or "Time") here but coupled with the appealing roster of twenty (20) songs was an attractive front sleeve with the ELO logo on a black background and an inner gatefold that included a nice biography and a classy photos of the Magnificent Seven. This was a two record set hard to resist and something of a departure being as it intermingled so many album tracks with so many hits. "The Best Of ELO" remains one of my fave ELO career overviews to this day, reminding us all that the Electric Light Orchestra were a band with a huge hit pedigree at their commercial peak. And they still are. I bought it "off the telly" when it came out and got a second one a couple of (light)years back in a charity shop..have to agree that it's a favourite compilation! Is this available in cd or download.